Where Did Abraham Lincoln Live in Springfield? When Abraham Lincoln was 35 years old in 1844, he bought a little cottage on the corner of Eighth and Jackson Streets in Springfield, Illinois. He was a state legislator practicing law, married for two years, and a new father. He paid $1500 for some land and what has been described as "a small Greek Revival-style house"—not the house style shown here. Built in 1839 by the Reverend Charles Dresser, Lincoln's first house was fairly new construction when he purchased it five years later. In the tradition of Thomas Jefferson and his Virginia home called Monticello, Mr. Lincoln took to home remodeling like a politician takes to speech-making. Lincoln was elected President of the United States in 1860, which gave him a few years to fix up the old homestead in Springfield. Back in those days, professional architects didn't even exist—architecture was not a licensed profession until after the AIA was founded in 1857. So what did Lincoln do with his little cottage? Here's the rest of the story. When Abe and his family, Mary and Robert, moved into the little house on the corner, the structure was only 1 ½ stories high with five to six rooms—not the house we see today. Three rooms occupied the first floor and two to three "sleeping lofts" were upstairs in the half story. An upstairs floor is considered a "half" story when the second floor ceilings are sloped, taking the shape of the roof. According to The History of Plumbing, indoor plumbing was more common after 1840 and the invention of packaged toilet paper in 1857. Nevertheless, a traditional bathroom or "water closet" does not appear on the floor plan of Lincoln's home. The Lincoln Home in Illinois was transformed between 1844 and 1861, just before the new President and his family left for Washington, D.C. To better understand what the homeowners accomplished before they departed Springfield, begin with visualizing the home they bought. Look on the first floor, the Front Parlor and Sitting Room. That rectangular shape, with fireplaces on either short side, is the original house. Directly above that first floor (what is now Lincoln's Bedroom, Stairs, and the Guest Bedroom) was a half floor attic, with sloping ceilings, and two, three, or four "sleeping lofts." Look at the front center of the first floor. One aspect of the house that remains today is the unusual inset front door. This structural feature is evident in both the floor plan and the house as it looks today. Inset doors were more common when an extended entryway or porch was present. We know that Lincoln bought "a small Greek Revival-style house," and a columned entry portico was common to this style. The inset door may be a remnant of such a columned porch, which "Mr. Lincoln, Home Remodeler" probably had removed when he raised the roof in 1855. How do we know what Abraham Lincoln's Springfield, Illinois house looked like when the Lincolns bought it in 1944? The Process of Architectural Investigation is like geneology for homes. By researching documents, records, journals, and correspondences, historians and preservationists have discovered that Abraham Lincoln was quite a rehabber! Imagine the present Lincoln House without the back addition and without the second floor double-hung windows—as small as a Colonial Revival Bungalow and probably with Greek Revival-style columns. The house you tour at the Lincoln Home National Historic Site is not the house the Lincolns bought in 1844. It is, however, the house he owned when he was assassinated. What style is Lincoln&apos;s home? Mr. Lincoln seems to have been architecturally influenced by 18th century fashions when he remodeled Reverend Dresser's small 1839 cottage. The renovated house has many features of a Georgian Colonial. This style of house, popular from the reign of King George I (1714-1727) to the American Revolution, is characterized by symmetry, paired chimneys, medium pitched roof, paneled front center door, and Classic details. The new roof Lincoln installed in 1855, however, has a more pronounced overhang than a Georgian style. 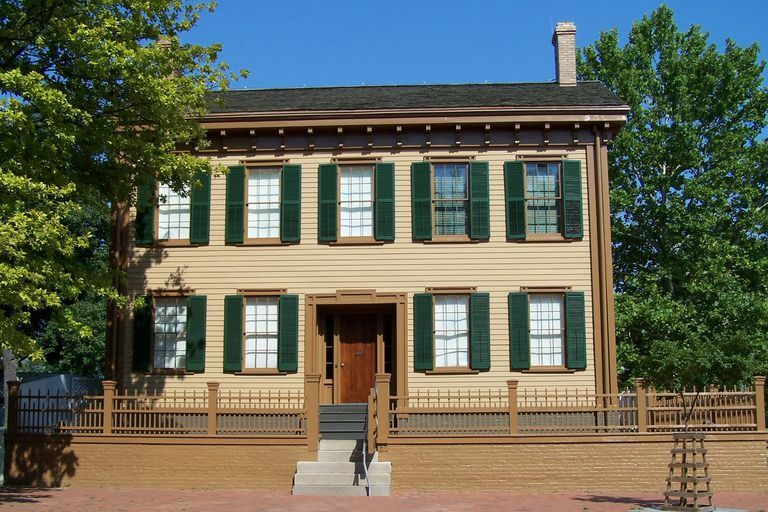 The current Lincoln home has characteristics of an Adam house style, similar to but evolved from Georgian. Sketches in McAlesters' A Field Guide to American Houses point out details found on the Lincoln home—six over six window sashes, shutters, decorative brackets in the eaves, and decorative moldings atop the windows. Robert Adams (1728-1792) and James Adams (1732-1794) were prominent British architects, and their influences on architecture are often called Adamesque. Because Lincoln changed the original style through remodeling, perhaps we should call his old house Lincolnesque. The architectural influences of the 18th century may have been a stepping stone for homeowner Lincoln, and perhaps he had other ideas for his house after his presidency, but we will never know. 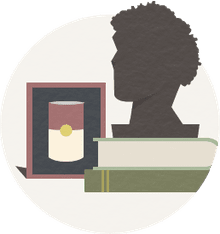 For the Lincoln House, preservationists have chosen historic paint colors known to be used at the time of Lincoln, but not necessarily compatible with the house style. The challenges of owning an older house are immense; being true to accurately preserving history is a process of approximations. Researching the past is not always an easy path to future preservation, but it's a good beginning. Was Lincoln Just Like You and Me? After becoming the 16th President of the United States in 1860, Abraham Lincoln never returned to live in his Springfield house. From 1861 until 1887 the house was rented, the last tenant profiting from Lincoln's assassination and notoriety by turning the house into a museum. Gas lighting was installed sometime after 1869; the first telephone was installed sometime around 1878; and electricity was first used in 1899. Robert Lincoln gave the house to the State of Illinois in 1887.